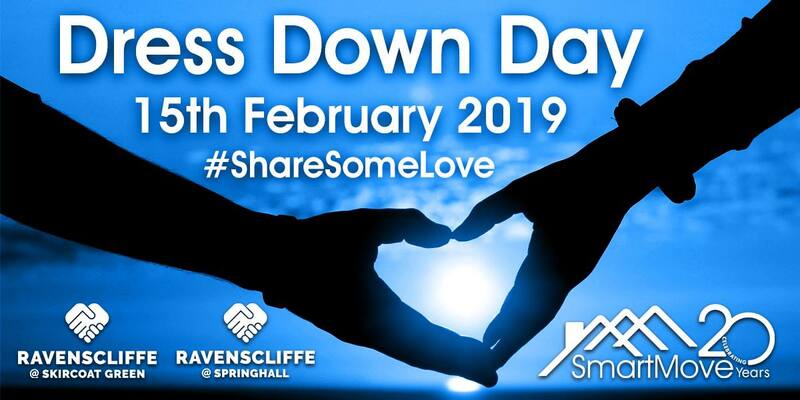 On Friday 15 February, the day after Valentine’s Day, 11 schools from around the borough will be taking part in a dress down day Smartmove are calling ‘Share Some Love’. They would love it if businesses and individuals around Calderdale would join in. The aim of the initiative is to raise the awareness of the acute issue of homelessness. The objective is to support those either homeless or vulnerably housed across Calderdale, the most disadvantaged across our Borough. Students will pay £1 for the privilege of no uniform and all proceeds will go to Calderdale SmartMove. We would love it if individuals within businesses and Calderdale would do the same. Throughout the day on the 15th Feb we will be posting on social media using the hashtag #ShareSomeLove please feel free to join in on this hashtag. A great chance to talk with the local community and share your involvement in the cause. Homelessness is an ever increasing issue and is openly visible to anyone walking down any city or town street. Calderdale SmartMove has an extensive track record of helping vulnerable groups across the borough with 96% of clients maintaining their tenancy. SmartMove need to generate £100,000 over the next 12 months from charitable activities just to maintain and continue to support their existing work. • A £10 donation can buy a sleeping bag. • A £10 donation can buy two pillows. • A £20 donation can buy a toaster and kettle. • A £35 donation can buy a microwave. • A £400 donation can buy a bond for a 2 bedroom property. • A £1,000 donation can buy 20 emergency starter packs including basic food, personal hygiene packs and the basics. It would be amazing to get as many schools, businesses and individuals involved in this borough-wide event as possible. We want to share some love with as many people as possible! Thank you for your continued support of Calderdale SmartMove. If you require more information about this event please give us a call on 01422 361515 and ask for Dom Furby or Stuart Rumney or reply to this email and we’d be happy to assist with any questions or queries you may have. If you would like to take part simply let your colleagues/friends know about the event, start posting on social media with the hashtag #ShareSomeLove and the day after donate your collection to Calderdale SmartMove using this link. This entry was posted in Events, Feb, Young People and tagged Calderdale SmartMove.